On 1 April 2015 the Energy Company Obligation (ECO) scheme saw updates to its qualifying criteria – a higher income threshold and the inclusion of Universal Credit. These changes will mean more people across England, Scotland and Wales are able to qualify for free a grant towards a replacement boiler. Universal Credit has been gradually introduced in the UK and can be claimed instead of certain benefits for those out of work or on a low income. The addition of this benefit to the ECO criteria will mean anyone who was receiving benefits like Job Seeker’s Allowance or Working Tax Credit who then switched to Universal Credit could still qualify. There are additional factors to qualifying if you receive Universal Credit. You must have a monthly earned income of £1,250 or less in any assessment period in the last 12 months and meet an additional criterion. This includes having a child under 16 living at the property (or 20 if they are in full time education excluding university and living at the property), a limited capability for work, Disability Allowance or Personal Independence Payment. Those on Child Tax Credit and Working Tax Credit who wish to qualify for a Boiler Grant also need to have an income under a certain amount. Prior to the criteria updates this was £15,860. This has now been raised to £16,010 – an increase of £150. This rise will likely see many people who narrowly missed the criteria now able to take advantage of the programme. Due to ECO’s popularity since it began in 2013, the scheme’s original closing date has been extended to March 2017 so there is still plenty of time to apply for a grant. 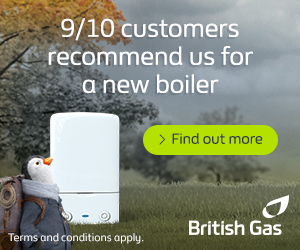 For more details about ECO, its qualifying criteria and to apply online visit Boiler Grants. For anyone unable to get a boiler grant with ECO (for example those living in Northern Ireland) there are other programmes running. Details for these alternative schemes can be found on our information page for boiler, central heating and insulation grants.